Pebble sculptures are not exactly common. 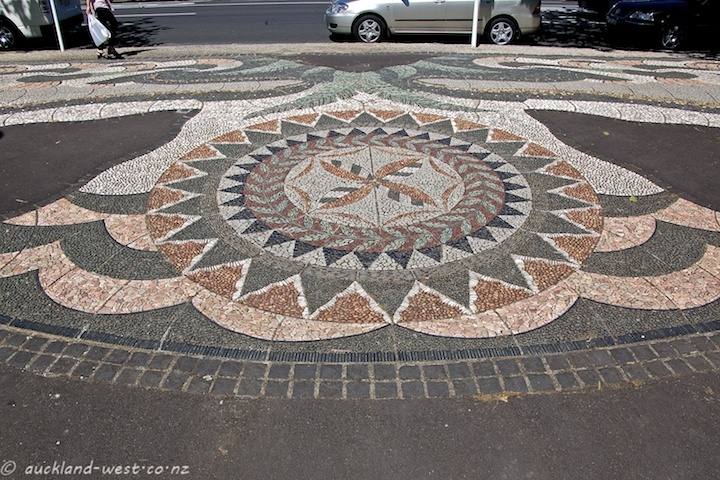 All the more unusual then, that we find two of them within close proximity near the top end of Ponsonby Road, at Western Park. 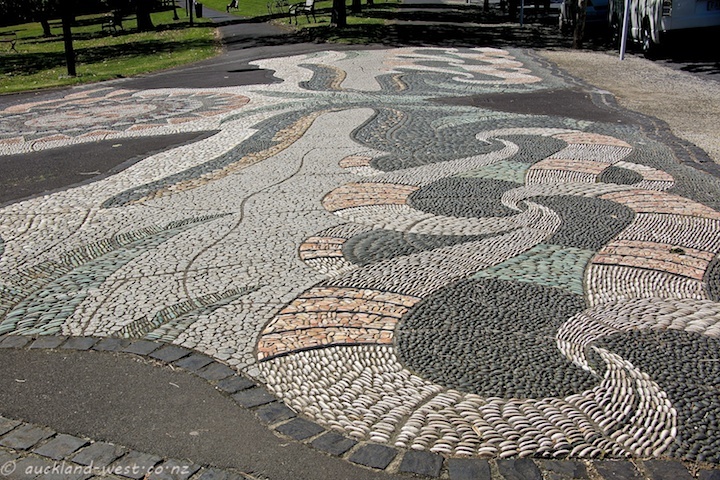 The first one, marking the entrance to the park, and occupying the entire footpath and more, is entitled “Pebble Mosaic” and made by Mark Davidson. The second one is within the park, on the left as you walk down, forming a platform. It is by John Botica, entitled “Across the Cultures”. 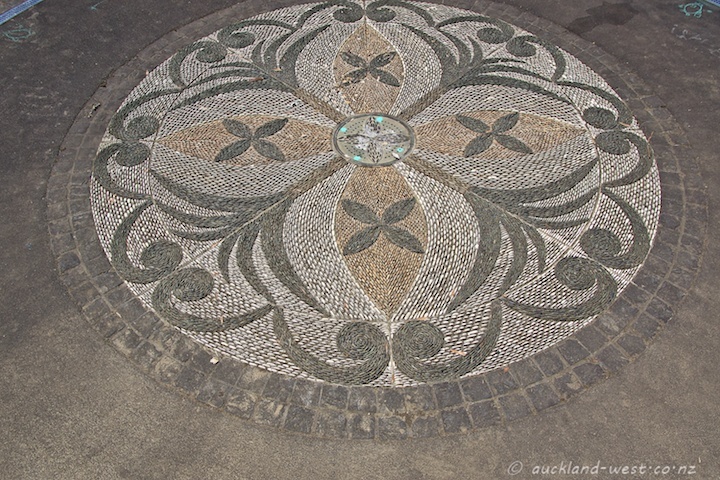 We have shown two more of John Botica’s pebble mosaics here and here. 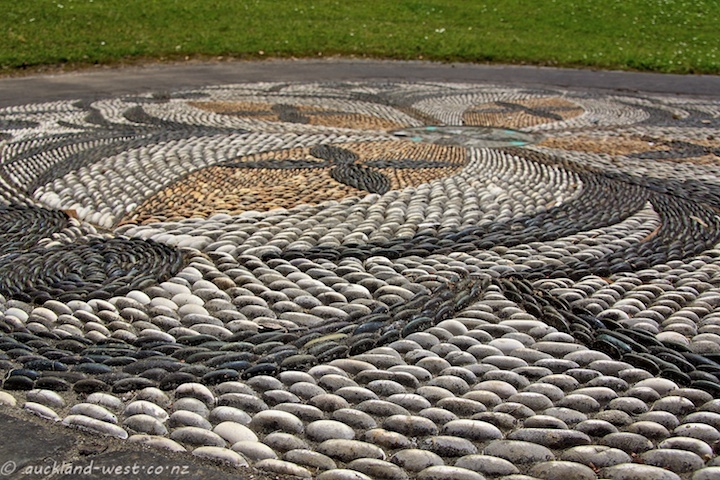 More about pebble sculptures can be found on Maggy Howarth’s website.